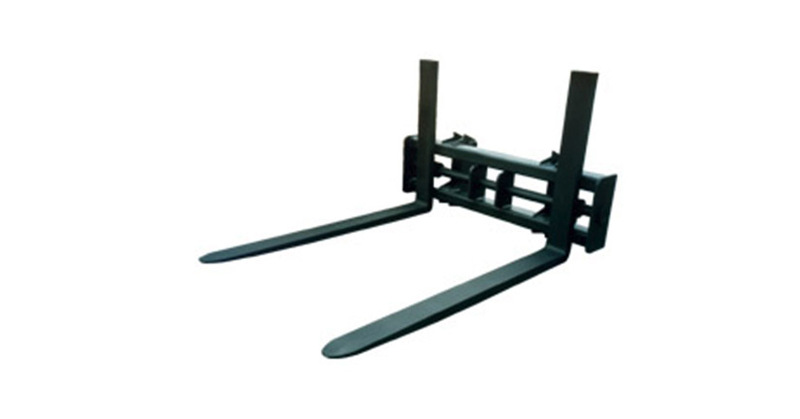 Pallet Forks offer a heavy duty, rigid backframe with a maximum load carrying capability up to 40% stronger than standard backframes. Backframe is a low profile design to allow highest visibility for all material loading needs. The fully forged tines offer a 3 to 1 safety factor. Tines are adjustable to allow for handling of various widths of materials. Tine Size 2-1/2" x 6" x 60" x 48"